Smartphones are companion of everyone's pocket now. It's true that, smartphones got more popularity among common people after the launching of Android mobile phones. It's just because, many companies from Mobile technology giants to start-up companies made smartphones at reasonable price as Android is a free to use OS. Android is a free to use and powerful mobile OS. 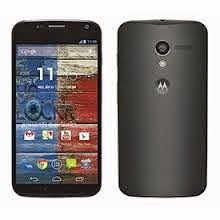 And now, I owns an Android smartphone of Motorola Moto X. And on this article, Am sharing with you the most important accessories and some Apps. Battery performance was one of the major issue for Smartphones. The maximum day your battery juice up your smartphone may two or three on normal usage. And it may vary to one day if you use 3G or 4G mobile data, GPS and other energy consuming features. Having a power pack for your smartphone is the best idea to overcome this. I recommend Motorola's P2000 power pack for every smartphones specially for runs on Android. Having a pendrive both have normal usb port and micro usb port (otg port) will reduce the effort of carrying and handling OTG cables or adapter. Most leading storage device manufacturers like sandisk, hp are making OTG pendrives. Having a wired or Wireless external speaker (most smartphones have 2.5mm jack support) is food for entertainment purpose. Having app from your bank ready on your smartphone is a good idea to safe keep your bank. Most banks are offering this at free of cost and these apps are bank at your finger tips. You could check, current balance, transaction history and also transfer fund instantly. Keep Safe app is powerful to hide important stuff from others from your smartphone. You could hide your private and confidential data to keepsafe and give your phone unlocked to anyone. Xender (known as Flash transfer earlier) is able to send send and receive large sized files at seconds only. It uses wifi communication to transfer files. Paytm, FreeCharge or other shopping apps. Recharging your mobile, DTH, bill payment and even shopping for your home is now easy with shopping apps like paytm and freecharge. They will issue promo codes also. Its good idea to search for their latest coupon codes to get deductions from your order.